Spyro: Reignited Trilogy launch trailer shows the purple dragon’s majesty!! Ultron hacks his way into Screw Attack’s DEATH BATTLE!! Witness the “Power of Us” in an all-new Pokemon movie!! Find your story. Find your destiny. An new Pokémon adventure takes to the skies! Ash and Pikachu are off on another whirlwind adventure in upcoming “Pokémon the Movie: The Power of Us”. This time they travel to Fura City where people live together with the wind. On the final day of the annual wind festival, the legendary Pokémon Lugia will appear and give the people the blessed wind, a promise said to date back to the distant past. The film revolves around five unique individuals: Risa, a highschooler and Pokémon rookie; Callahan, a braggart that just can’t stop telling tall tales; Toren, a timid researcher that lacks confidence; Harriet, an old eccentric that hates Pokémon; and Margo, a mysterious little girl that hangs around in the forest all by herself. Will the promise with Lugia be kept? And just what is the true identity of the mythical Pokémon Zeraora? 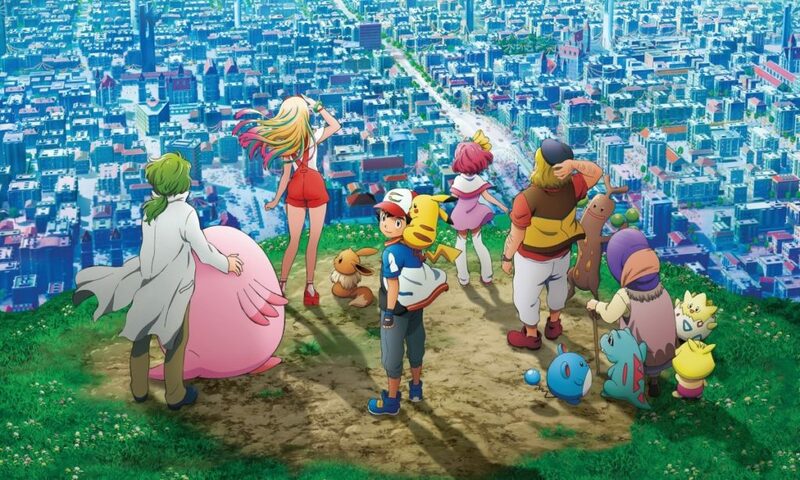 The Pokémon Company International and Fathom Events will be releasing the film on a limited theatrical run worldwide on November 24, 2018. The film was originally released July 13 in Japan. To get your tickets, go to FathomEvents.com and select a theater near you.